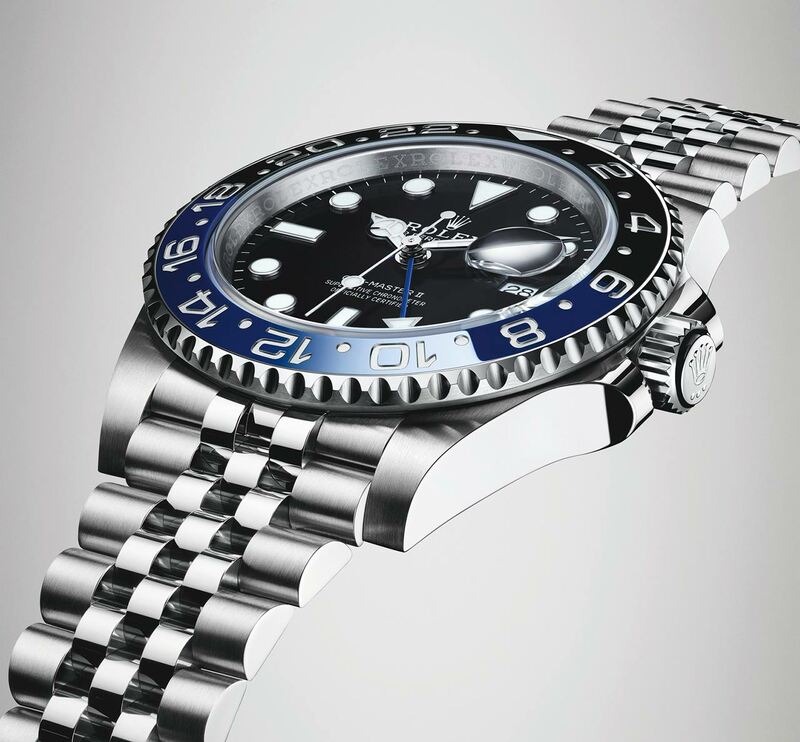 At Baselworld 2019, Rolex presented a new version of the Oyster Perpetual GMT-Master II (Ref. 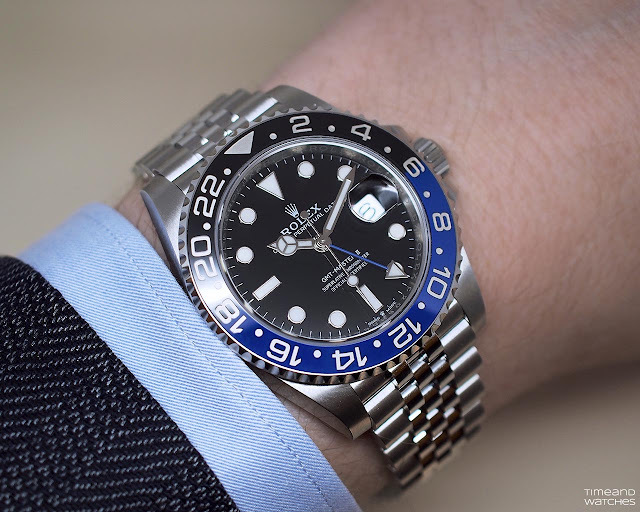 126710 BLNR) with a bidirectional rotatable bezel and a two-colour 24-hour graduated Cerachrom insert in blue and black ceramic, a colour combination which has been nicknamed "Batman" among collectors. The moulded, recessed graduations and numerals are coated with platinum via PVD (Physical Vapour Deposition). This watch, in Oystersteel, echoes the GMT-Master II introduced in 2018, which featured a Cerachrom bezel insert in red and blue ceramic (aka "Pepsi"). 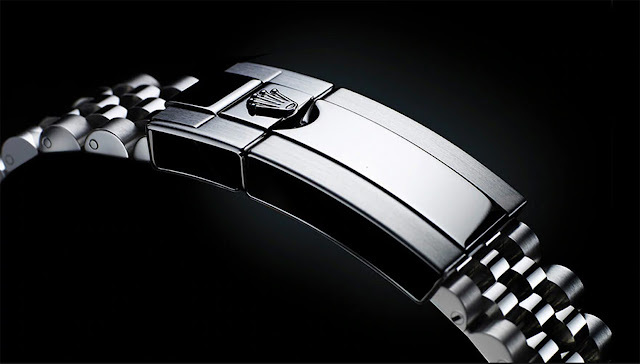 The 40 mm case of the new model houses the new-generation calibre 3285, also featured in the Pepsi version. With 10 patent applications filed over the course of its development, the movement is equipped with a Chronergy escapement and guarantees a power reserve of approximately 70 hours. The special barrel architecture and the escapement’s enhanced efficiency made it possible to extend the power reserve of calibre 3285 to approximately 70 hours. Thanks to the traditional hour, minute and seconds hands, the additional 24-hour hand, and a bidirectional rotatable bezel with a 24-hour graduated Cerachrom insert, it is possible to read the time in two time zones at once: either the local time and a reference time, or the local time and another time zone as desired. The date, shown at 3 o’clock, is synchronized with the local time display. 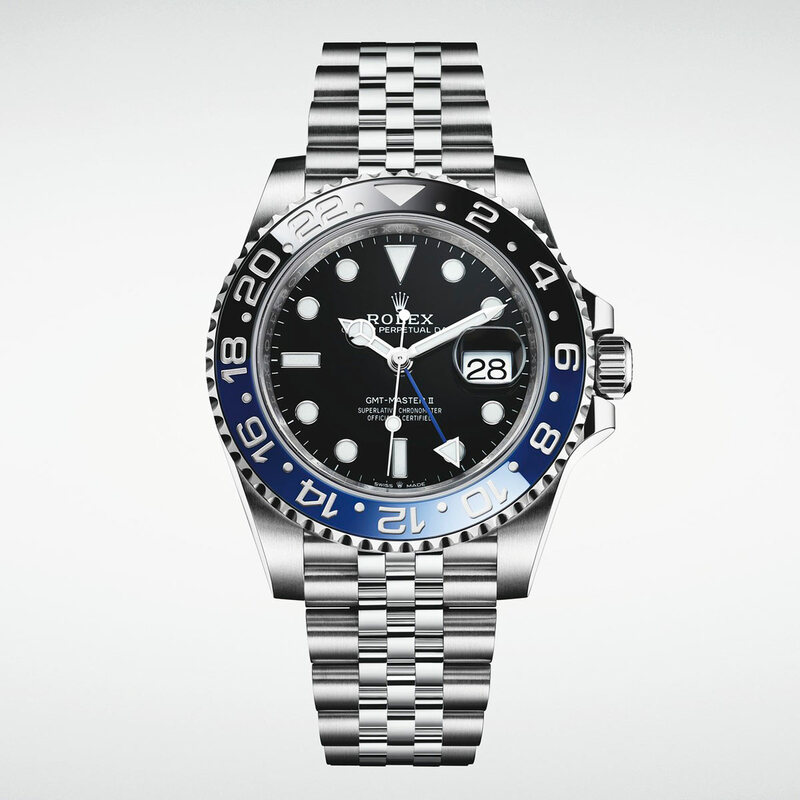 This version of the GMT-Master II is fitted with the five-piece link Jubilee bracelet, that was specially created for the launch of the Oyster Perpetual Datejust model in 1945. The Jubilee bracelet is here equipped with a Rolex-designed and -patented Oysterlock folding safety clasp, which prevents accidental opening. It also features the Easylink comfort extension link, developed by the brand, which allows the bracelet length to be increased by approximately 5 mm. 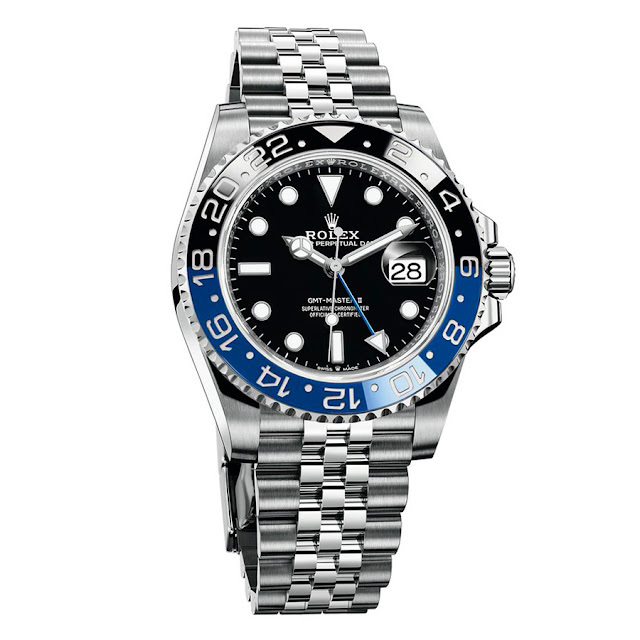 Guaranteed waterproof to a depth of 100 metres / 330 feet, the Oyster Perpetual GMT-Master II is covered by the Superlative Chronometer certification applied to the fully assembled watch, after casing the movement to guarantee precision, power reserve, waterproofness and self-winding. 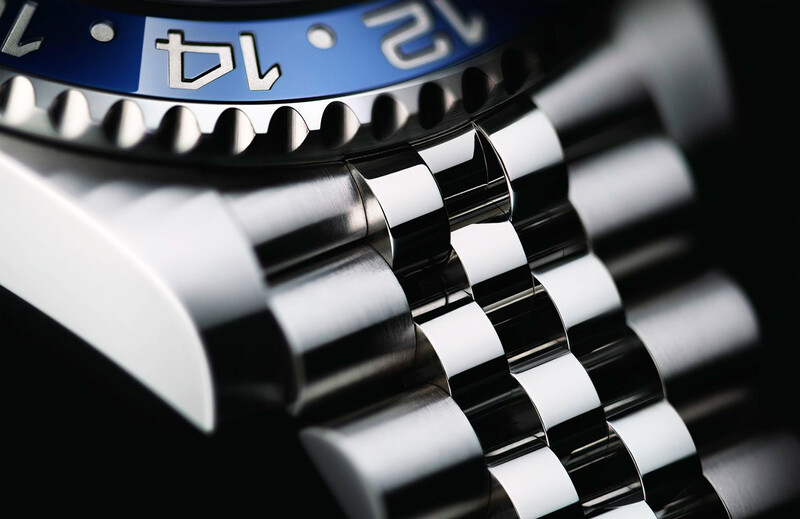 The precision of a Rolex Superlative Chronometer after casing is of the order of −2/+2 seconds per day. 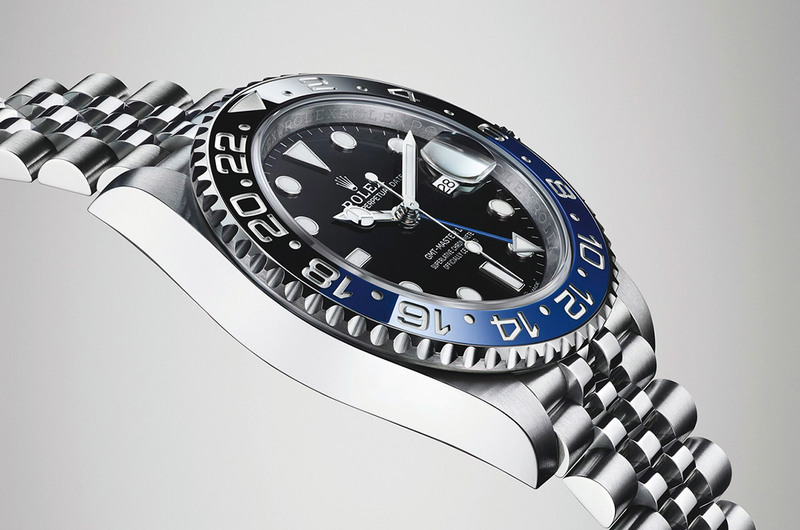 Rolex is not doing great efforts with novelties. They just change a bezel and that's it. And then people go mad. They must have great fun at Rolex observing people's reactions. Just let me ask you: have you ever worn a Rolex? 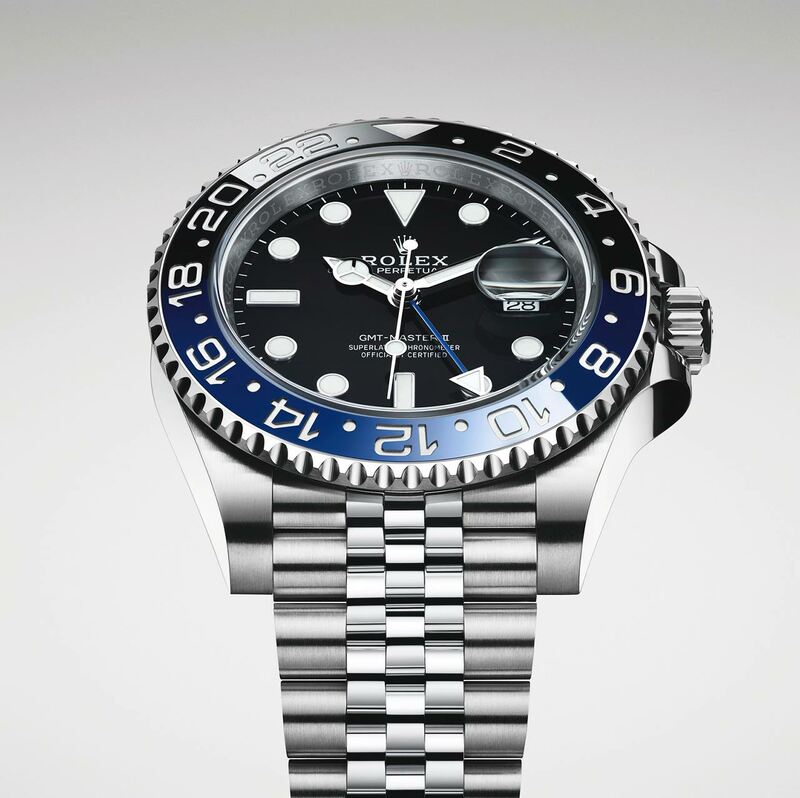 At Baselworld 2019, Rolex presented a new version of the Oyster Perpetual GMT-Master II (Ref. 126710 BLNR) with a bidirectional rotatable bezel and a two-colour 24-hour graduated Cerachrom insert in blue and black ceramic, a colour combination which has been nicknamed "Batman" among collectors. This model echoes the GMT-Master II introduced in 2018, which featured a Cerachrom bezel insert in red and blue ceramic (aka "Pepsi"). 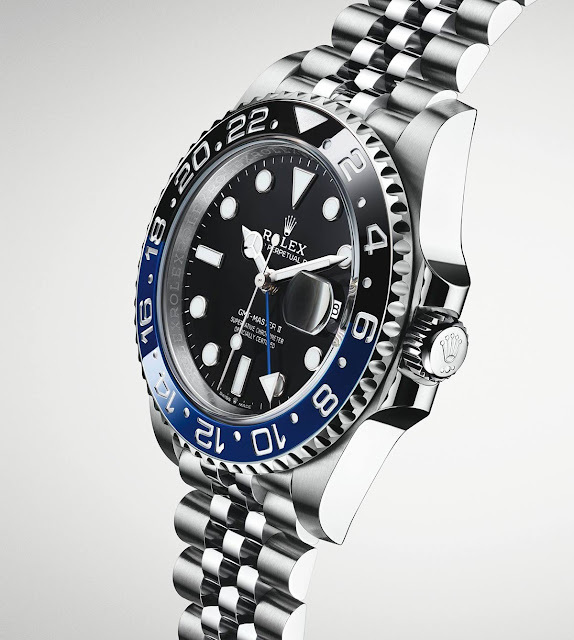 The Rolex Oyster Perpetual GMT-Master II "Batman" Ref. 126710 BLNR in stainless steel is priced at Swiss Francs 8,800 / Euro 8,400 / US$ 9,250.